A record has already been set in MLB for the most postponements in April, and the northeast quadrant of the country seems in the grip of some weird global cooling. Griping, sarcasm, and panic have ensued, but one suggestion seems at least practical to me. That is to schedule as many April games as possible within each team's division, so that there will be series later on when postponed games can be made up. There are already several instances when teams making their only trip to a city will have to make a detour on a road trip to fill in a game on a much-needed off-day. For a long time, I thought that the simplest thing would be to schedule the first ten days' or two weeks' worth of games in the warmer cities and domed ballparks. I have come around to the notion that this might put some decent teams in a hole if they go 4-8 before their home opener. It probably doesn't help the home teams either, glutting their home schedules before school lets out and the big summer crowds assemble. I do think that there are enough teams with sunshine or domes to host games for the first week. This season, the Marlins opened with six home games, but the Rays, after four games at home to start the season, went on the road for eleven days. Their seasons so far tell us a lot, however. Both Florida teams have played a dozen home games. Weather has not been a discernible factor in how baseball fans in Florida decide whether to attend games. On Opening Day, the paid attendance in Miami was 32,151, while in Tampa it was 31,042. That was Opening Day. The weather has been fine, but it turns out that when the baseball is awful, the proverbial fan stays away in droves. In eleven home games each since Opening Day, the Rays' average attendance is 13,848, and that's the good news. In Miami, the average is 11,446. A recent three-game series with the Mets drew 19,669 -- for the whole series! It was more like a boycott as the word spread, with the Monday night throng of 7,003 thinning out to 6,516 the next night and 6,150 for the thrilling conclusion of the series. Counting games of April 21, Tampa Bay's record is 7-13. Again, the good news. Miami is 5-15 in the wake of new owner Derek Jeter's eagerness to dismantle the game's greatest young outfield. He thought he was imitating Wayne Huizenga, who also got rid of his young stars all at once. But Jeter skipped the important first step -- winning a World Series title first, as Huizenga did in 1997. When Magic Johnson signed on as a Dodgers owner, he brought people with him who were ready to spend money to make him the face of a great team. What was Jeter thinking? I had to laugh at the mlb.com headline the other day: "Yankees Will Drop Stanton". I knew they were sending him to Scranton-Wilkes Barre. No, they were demoting him from proximity to Aaron Judge in the lineup, his status plummeting to the midtown cleanup spot. Will he get over it? The way Didi Gregorius has been pounding the ball, it makes more sense to put him between the two right-handed boppers, no matter who's hot. Before the season, I played with some Judge and Stanton numbers to see which one is the more formidable, or perhaps the more exciting or productive or something of a pairing that makes old-time Yankees fans drool over memories of the 1961 Mantle-Maris chase of Babe Ruth's hallowed record of 60 home runs. 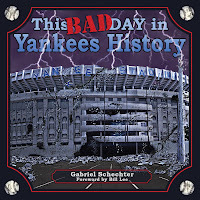 That was the year I was first aware of the shape of a baseball season, and since I lived about ten miles from Yankee Stadium, that race was big news every day that summer. Nobody rooted for Maris, either. It was all Mickey back then. What about now? These numbers are from 2017. If you take strikeouts, walks, and hit by pitches (i.e. plate appearances when the batter didn't put the ball in play), they took up 50.1% of Judge's PA but only 36.8% of Stanton's. That means that in every eight trips to the plate, Stanton hit the ball once more than Judge. Given the damage they do when they hit it, that tilts in Stanton's favor. Judge struck out in 38.4% of his at-bats, Stanton in 27.3%. Combined, they had a .399 on-base percentage and .629 slugging percentage. That'll get it done. But going on form, there's more reason to think that Stanton will be the big gun this season in the Bronx. He's a more experienced hitter, he doesn't strike out as often, and even left field is bigger than right field at Yankee Stadium, it will still look inviting to him compared to what he faced in Miami. So, going by form, 43.4% of the time they go to the plate, they'll reach their next destination by walking, not running. I haven't looked at the numbers so far this year, but clearly Judge has been a stud so far, while Stanton has -- well, the man was dropped just the other day. What do the numbers say? In 19 games, Judge has 6 home runs and 15 RBI. In 89 PA, he has put the ball in play 49 times, up from 50% to 55%, and his strikeout rate is lower at 31%. That explains why his average today is 54 points higher than last year's. Stanton, meanwhile, has been awful, with two five-strikeout disasters at Yankee Stadium which have endeared him to the Bronx faithful in a very special way. Stanton has 4 home runs and 12 RBI -- "on a pace" for 32 and 103 for the season, which would be respectable for anyone except a giant getting a gazillion dollars to drive in Aaron Judge every time he walks. It's only 19 games, of course, and players tend to regress to their own normal performance, and once Stanton recovers from the shame of batting fourth, he'll hit the ball more often. That .194 average won't last, and I don't think he'll keep striking out in 40% of his at-bats all season. At that, he has put the ball into play almost as often as Judge, 52.3%. The difference is that when he doesn't, Stanton is striking out instead of taking walks. Only people willing to watch all the Yankees games can say how many times the opposition pitched around Judge to get to Stanton, and how often it worked. I can tell you that Judge was walked intentionally once to get to Stanton, in the 11th inning with the potential winning run at second base. Stanton grounded out to end the inning. Like many of you, I have strong jinxing powers. When I was a little kid listening to games on the radio, I felt strongly that the degree of fervency I put into rooting for my team had a tangible effect on the outcome. Long after I outgrew that childish notion, long after I realized that my fervor was chiefly for my own benefit and not the team's, I became aware of a strong jinxing power, but only after its effect had occurred. This power manifests itself most often in the matter of no-hitters. This would not have been possible in the old days, when a fan could follow only one or two games at a time. It is a byproduct of the mega-network, internet era, when you can be closely following a couple of games, get an alert that a no-hitter has progressed to the late stages, and switch over to watch history happen. Except that, in my case, almost every time, my sudden vigilance is enough to bring a quick base hit. Usually, it's the next batter. Last week, it was the first pitch I watched after switching networks. So I was pretty wary last night when the alert came that Seth Manaea had a no-hitter through seven innings. I was watching Bartolo Colon, which was quite entertaining in itself. In one inning, the corpulent 44-year-old had to race to first to take a throw after the leadoff batter grounded a ball behind the bag. He made the out and puffed his way nonchalantly back to the mound, suggesting a beer executive at the company picnic. Dee Gordon batted next, and he also hit a bounder behind the first base bag. Colon raced off the mound, taking the shortcut while Gordon dashed down the line. He took the throw and pounced on the bag a split-second ahead of Gordon. This time, he had a little grin as he trudged back to the mound. I wondered how the wind-sprints would affect him; he got the last batter on the second pitch. Meanwhile, there went Seth Manaea to the mound for the 8th inning, facing a Red Sox lineup which had battered the opposition to a 17-2 record. He had thrown only 85 pitches and thus wasn't a candidate for arbitrary removal by his manager. He might actually pitch that no-no! On mlb.com, I went to Gameday and turned on the Oakland broadcast. Manaea already had two outs by the time I caught the announcer, and that inning ending quickly. The A's didn't dawdle in their half of the 8th inning, and now came the 9th. I knew that MLB Network's "Quick Pitch" would show the 9th inning. Just press one more button, and I could watch history unfold. Or, more likely, jinx the man. So I stuck with the Mariners-Rangers game on tv and listened to Manaea polish off the Red Sox with only a two-out walk delaying his moment of glory. As soon as I heard the final out, I pressed that button in time to see the celebration and a replay of the final out. I was very happy to watch that replay after sparing Manaea. As part of my week-long celebration of self-indulgence to mark my birthday, I reread two of my favorite books. One is Madame Bovary, with its devastating exploration of the gap between daydreams and reality and its exquisite sentences. Here is my favorite: "The human voice is like a cracked kettle on which we tap crude rhythms for bears to dance to, while we long to make music that will melt the stars." Read that ten times quickly! The second is Roger Angell's second baseball collection, Five Seasons. This anthology of Angell's superb "New Yorker" pieces covers the seasons from 1972-1976. 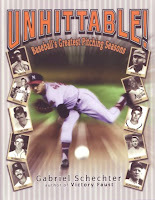 Apart from the spellbinding accounts of memorable World Series during that period, Angell delighted me doubly this time around with his profiles of baseball people with whom he spent time: scout Ray Scarborough; a trio of lifelong Tigers fans/friends; Steve Blass during the dark days of his "syndrome; Giants owner Horace Stoneham, and more. 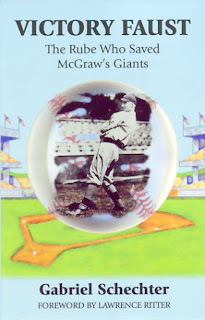 This volume also contains the incomparable "Stories for a Rainy Afternoon," brief tales suitable for rain-delay telling, and which have been among my favorites to share again and again over the years with baseball fanatics who need a good laugh: Richie Ashburn and "yo la tengo"; Hack Wilson and Boom-Boom Beck; Clint Courtney's full count; Stan Musial and two baseballs on the field; the rundown between home plate and a dugout; and why Tommy Lasorda always gave autographs. I'm cracking up just thinking about those stories. What a delight! Among baseball writers, Roger Angell is the king of similes and metaphors. His essay on the 1975 World Series, titled "Agincourt and After," contains my favorite one-liner simile and my favorite extended metaphor. First the one-liner: do you remember the emergency hack that Bernie Carbo took at the pitch before his famous home run in Game 6? He barely fouled off the pitch to stay alive; Angell described Carbo's swing as "flailing at one inside fastball like someone fighting off a wasp with a croquet mallet." Unlike any other sports writer I've encountered, Angell writes sentences that show you how a movement on the field resembles something you might encounter in the real world. Is there any better extended metaphor in baseball literature than Angell's catalogue of Luis Tiant deliveries? Whether you saw Tiant pitch or not (and it's much better if you did), take a few minutes to picture the man in action as described by Angell. Call the Osteopath: In midpitch, the man suffers an agonizing seizure in the central cervical region, which he attempts to fight off with a sharp backward twist of the head. Out of the Woodshed: Just before releasing the ball, he steps over a raised sill and simultaneously ducks his head to avoid conking it on the low doorframe. The Runaway Taxi: Before the pivot, he sees a vehicle bearing down on him at top speed, and pulls back his entire upper body just in time to avoid a nasty accident. Falling Off the Fence: An attack of vertigo nearly causes him to topple over backward on the mound. Strongly suggests a careless dude on the top rung of the corral. The Slipper-Kick: In the midpitch, he surprisingly decides to get rid of his left shoe. The Low-Flying Plane (a subtle development and amalgam of 1, 3, and 4, above): While he is pivoting, an F-105 buzzes the ball park, passing over the infield from the third-base to the first-base side at a height of eighty feet. He follows it all the way with his eyes." Do yourself a favor. Find a volume of Angell and start reading. Suppose you're the kind of reader who can't help noticing inconsistencies in usage. Same words, same order, but the author finds some reason for spelling something differently. It bugs you. Over time, one common inconsistency comes to aggravate you more than the others, eventually giving you that chalk-on-the-blackboard reflex every time you see it. You can't get away from it. Given that ever-expanding annoyance and the reflex revulsion that grows in vehemence -- what would you do if your favorite writer fell into the trap of inconsistency? In my case, I guess the answer is that you blog about it. My special aversion is to writers referring to major league teams in the singular rather than the plural. A team's identity should be a simple matter, its name a no-brainer. Yet I have seen Walter O'Malley referred to as "the Dodger owner". What could that possibly mean? It can't mean he owned the franchise. That would make him the "Dodgers owner," that is, the owner of the franchise. He owned the whole damn team called the Dodgers. The only time to use the singular form of a team name is when referring to an individual player. Jackie Robinson was a great Dodger. But he was not the Dodger first baseman in 1947. He was the first baseman on the Dodgers. He was "the Dodgers' first baseman," the apostrophe indicating that he was the first baseman who belonged to the Dodgers (hence the possessive '). I've seen O'Malley also called "the Dodgers' owner," both a physical and a semantic impossibility, as O'Malley could not have been a possession of the team he also owned. A grand-slam homer by Dodger outfielder Jimmy Wynn. As the Dodgers' starter, Don Sutton. A pair of walks off Pirate starter Jerry Reuss. In addition to the costly Dodger error. Topped a pitch by Dodger starter Al Downing. Tom Seaver, the Mets' champion. Rube Walker, the Mets' pitching coach. [Now we can see the apparent method to his usage: if he puts "the" before it, he uses the correct plural possessive; no "the," no plural. Probably. The most consistent starter on the Pirate staff. Who is now the Yankees' pilot. I'm done. If Roger Angell, writing for the publication that has traditionally been the most squeamish about usage, could sneak such inconsistencies past the editors, my reaction can be one of only two things: I should be more tolerant of lesser writers who can't get it straight either, or I should be twice as vigilant about a trap that ensnared even the best of us. If you know me at all, you know that's a no-brainer. Any baseball person concedes that you can't tell much from the first ten days of the season. You do spot some things, like the starting lineups and pitching rotations, a few notable debuts, some happy returns, but nothing terribly conclusive. Every player is "on a pace" to do something miraculously spectacular or spectacularly horrible, and since performance tends to regress toward the mean, it's tempting to downplay ten-day trends. However, I have identified one such trend that is likely to have a permanent place in the 2018 season. In four of the six divisions, the consensus worst team has already staked a claim to failure. Look at the three tail-enders in the National League: my Reds are 2-5, the Marlins are 2-6, and the Padres are 2-7. Does anybody want to bet on the chances that any of those three disasters-in-waiting escapes the cellar by October? Ditto for Tampa Bay in the AL East, already trailing the Red Sox by 6 games. In the other AL divisions, teams are tied for last, leaving plenty of candidates for the inevitable tumbles. One team doing better than expected is the 6-3 Angels, thanks to Shohei Ohtani, who so far looks like the second coming of Babe Ruth. I started this paragraph before he took to the mound today in Anaheim to face Oakland. He struck out the side in the first inning and again in the fifth. He retired the first 19 A's before allowing a hit, and he wound up logging seven innings of one-hit ball--with a dozen strikeouts. Okay, that makes him Yu Darvish. Meanwhile, as a designated hitter, he homered in three straight games, driving in seven runs, and starting play today had the fourth-highest OPS in the majors, trailing only Didi Gregorius, Bryce Harper, and Adam Eaton. That makes him not quite Harper--plus a 2-0 pitching record and a 2.08 ERA. All that, and he uses up only one roster spot! Already, I have found myself switching channels to watch him bat, and it's going to be fun to watch him engage in the tug-of-war by which pitchers and hitters figure each other out. Another player I'm going to keep an eye on this season is Bartolo Colon. Last week I mentioned the aged wonder, Ichiro Suzuki, but the fact is that when Ichiro was a little baby. . .Bartolo Colon was already a baby. He's almost five months older than Ichiro and will turn 45 next month. In his first start for the Rangers, he allowed just one run in six innings. He struggled to a 7-14 record last season after being jettisoned by the Mets, for whom he won 44 games in three seasons and became one of the most popular Mets ever. The fans were taken with his nonchalance, his good-humored flailings at the plate, and his flair, epitomized the day when he fielded a roller near the first-base line and flipped the ball 40 feet behind his back to nip the runner. When he belted his first career home run in 2016, he cemented his grip on Mets fans' hearts. Here was a man clearly happy to be in the major leagues at his age, and the home run represented any 43-year-old connecting with a softball at a company picnic. We were disappointed when the Mets let him go after 2016, and we'd take him back in a heartbeat. Despite the increasing rash of home runs, there have been plenty of low-scoring games already this season. In fact, we've already seen nine 1-0 finals, including two remarkable ones to start the season between the Giants and Dodgers. Joe Panik won both games with home runs, first off Clayton Kershaw, then Kenley Jansen. Pretty snazzy! In fact, midway through their fifth game of the season, the Giants had scored a measly three runs on the season, all Panik homers. Diversify that offense! In the nine 1-0 games, no winning starter has gone more than seven innings, and on average, the winning managers have used 24 relievers to secure those shutouts. I haven't seen enough to know for certain, but my impression so far is that the restriction on mound visits is helping the pace of play quite a bit. It had become my pet peeve in recent years, the constant chats between catchers and pitchers. I've seen catchers go out there with an 0-2 count, on consecutive pitches, and three times in one at-bat. Shortening the time between innings is fine, but I found that the repeated delays in the middle of an inning were dissipating my anticipation of what might happen next. Too often, I wasn't thinking that I might be about to see a double play or an extra-base hit, but rather about the simple desire to see another pitch in my lifetime. I've noticed quite a few games going less than three hours. Just for fun, I'm going to check the time of game for those nine 1-0 finals. When I was a kid, shortly (as my friend Freddy Berowski likes to remind me) after the invention of fire, a 1-0 game would seldom take much more than two hours. These days, I'll put the over-under at 2:45, and I'll cautiously bet the under. . . .And the winner is: the fans. Average time for the nine games is 2:40. Only one lasted over three hours, a ten-inning, 3:27 game in Houston the other night that included eight pitching changes. Six of the nine games took less than 2:40, and three less than 2:30. This is a good sign. Let me press my luck. I'm going to look at 1-0 games from last season, and we'll see about those times. The over-under? 2:50. I'll bet the over. Remember when Yogi said "You can observe a lot by watching"? You also see a lot if you look. I just looked, and I saw that there were 28 final scores of 1-0 in the major leagues in 2017, just over one per week. We're already one-third of the way there in a week and a half this season. So this bears watching. As for the average time from 2017, I'll omit the three duels which lasted an aggregate 37 innings and averaged a whopping 3:50 (it took 4:27 to complete a 13-inning 1-0 game). For the other 25 gems, the average time was 2:48. So 1-0 games have been ten minutes faster so far this year. Those are a few of the things that have caught my attention so far. I had more in my notes, but it's time to watch the Mets trying to sweep the Nats on ESPN. Stop by next Sunday and see what's up. Will Shohei Ohtani pitch that no-hitter with four home runs? Or will we have to wait another week? I can't recall when I've looked forward to a baseball as much as this one. Four days into the season, I'm savoring it already, and will celebrate by resuming the blog I have neglected for too long to mention. I have in mind a weekly round-up of the things that strike me as I experience baseball in 2018. Another season I savored was the one just past, the one that the folks here in Oregon call winter. A year ago I lived 15 miles from Cooperstown in central New York, where on March 14, we got 43 inches of snow. That's the day I started packing for Oregon. I got out of Dodge just before the marshal, I mean winter, struck again, and by mid-November I had landed here in Salem, Oregon. I wore my old winter coat once all "winter" here, and I'm not even sure where my snow-shoveling boots are. I left the shovel behind when I moved. I've already been to one ballgame, a one-hour drive down to Eugene to see the University of Oregon Ducks defeat UC-Davis, 4-1. The game featured a half-dozen great fielding plays, a half-dozen hit batters, not many strikeouts, and no home runs, a fine ballgame to start my season. I expect to see baseball in Eugene, Corvallis, Salem, and Portland at the very least over the next six months. Seattle? Maybe. More than that, I've been looking forward to enjoying the major leagues from the West Coast. Unless you have lived in the Pacific time zone, you can't appreciate the difference from the East Coast. I lived in the West for nearly 30 years, so this is going back home for me in a way that moving to Cooperstown wasn't. It is a move from limited to unlimited baseball. Take today. A little after 10am, the Mets-Cardinals game came on the radio. Yesterday, I got to watch the Mets and Cardinals on the MLB Network. I'm a Reds and Mets fan, and I'll catch as many of their games as I can on the radio. It was a pleasure to listen to Howie Rose and Josh Lewin call two of the games at Citi Field to start the season. This afternoon, I had one game (Angels-A's) on the TV and another (Mariners-Indians) on the radio. The Mariners are my "local" team this season, so I'll watch a ton of their games. That's the biggest difference. It's tough to catch that late-night action in the East. There's a narrow slot for most people to watch a game--7 or 7:30 until 10 or 11. That's it. The viewing window is twice as wide on the West Coast (I get my radio coverage on mlb.com) on weekdays and all day long on the weekends. It's a feast, and I'm going to enjoy every bit of it. People of my generation grew up listening to baseball on radio. When I was a kid, I could catch the broadcasts of ten of the 16 major league teams at night, and during the day, a game was often the background accompaniment to whatever else we were doing. I got away from listening to games in New York except in the car. Since I'll be doing more writing this year, I expect to have a game to listen to much of the time, more than one to watch. Things We Haven't Seen Since the Deadball Era: In 1915, third baseman Joe Schultz Sr. of Brooklyn batted cleanup on Opening Day and leadoff in their second game. Schultz is better known as the father of Joe Schultz Jr., famous for advocating the pounding of Budweiser after each game played by the team he managed, the 1969 Seattle Pilots, immortalized in Ball Four. It didn't happen again until this year, when Mets second baseman Asdrubel Cabrera, whose normal position in the lineup is second, batted cleanup on Opening Day (going hitless) and leadoff in their second game (with two doubles and a single). The other thing we hadn't seen in our lifetimes was echoed today in Oakland, where Shohei Ohtani became the first player since Babe Ruth in 1919 to start in the "field" on Opening Day and be a starting pitcher within ten days, 85 pitches, or 142 visits to the mound, whichever comes first. Wouldn't it be wonderful if Ohtani lived up to expectations? In his debut as a designated hitter, he singled on the first pitch he saw, and he began even more impressively today. He fanned two A's and got a foul popup in the first inning, but met reality in the second inning when a fat pitch resulted in a three-run home run. I thought he might be quickly going to way of Clint Hartung and other two-way bombs, but he regrouped quickly and 14 of the final 15 batters he faced. He left with only three hits allowed in six innings, and he got the win in his debut. He'll be worth watching some more. Things We Haven't Seen Before at All: We saw the highest strikeout in one day in MLB history on Opening, as baseball's free swingers whiff their way toward a 10K/game pace. . .In the first three days of the season, we saw two starting pitchers go six hitless innings before granting their managers' requests to park their asses on the bench the rest of the game, leaving the relievers to blow both no-nos. . .We also saw the first bullpen overdose of the season, but this wasn't an overdose just for the relievers, who are weeks away from being overworked. No, the culprit was new Phillies manager Gabe Kapler. It wasn't that he made 18 pitching changes in three games -- but it dizzied him more than the rest of us, to the point where he popped out of the dugout and signaled for a reliever who wasn't even warming up. Welcome back to the dugout, Gabe. Captain Hook you aren't. Things We'd Better Get Used To: All kinds of home runs. Lots of two-homer games, plus Matt Davidson, who last year struck out in 40% of his at-bats and whose 26 home runs were balanced by a .260 on-base percentage, becoming just the fourth player to belt three home runs on Opening Day. And one more thing that is a sure sign of the times: the Opening Day, tenth-inning walk-off hit that wasn't, when a safe call on an eyelash-close play was overturned by a replay committee a thousand miles away, the Tigers didn't win just yet, and finally they didn't win at all as the Pirates prevailed, 13-10, in 13 innings. And finally, Things We'd Better Enjoy While They Last: Ichiro's return to Seattle brought joy to the hometown fans, who gave him a mammoth ovation on Opening Day. I had thought that the Mariners should simply advertise that Ichiro will bat at least once in every home game, like the daily pinch-hitter he became in Miami last season. But no, he played left field in their opening series, had a two-hit game yesterday, and made a highlight-reel catch, leaping high to rob someone of a home run, a feat somehow made to seem nearly impossible for a 44-year-old, judging from the media hyperbole. It isn't anything he hasn't done before, folks. Let's just enjoy him while he lasts. That's a useful mantra for any new baseball season, of course. Let's enjoy this season while it lasts. It's only 180 days plus playoffs. Wondrous things will happen every day, every week. Perplexing things too. I expect to relish every day of it. I'll let you know how that goes.